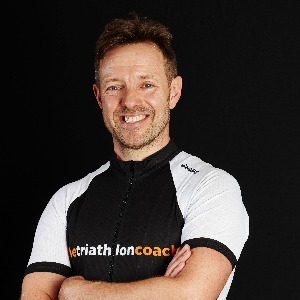 Hi I'm Simon Ward, UK based Triathlon Coach and founder of TheTriathlonCoach.com. I have 30 years of triathlon experience including 20 as a coach, tutor and coach educator. I am the lead tutor on the British Triathlon L3 coaching award and have delivered this for the last 10 years teaching most of the current L3 coaches in the UK. I'm a firm believer that for Age Group athletes creating a harmonious environment to train with exceptional health and a balanced approach to life are the foundations of good performance. I have coached many athletes who have achieved personal bests, including Kona qualification, not through the maximum amount of training but by being happy and consistent. My coaching philosophy has always been this -"Do as little as necessary to continue improving, rather than as much as possible!" If you purchase one of our programmes I guarantee that you'll achieve your goals without it taking over your whole life. I look forward to welcoming you to TheTriathlonCoach.com family. Success. Coach Simon Ward has been notified of your message.